Through May 3 – The Great Anderson County Fair at the Anderson Sports and Entertainment Center in Anderson. Lots of fun and exciting events and activities for the whole family. For more information call (864) 296-6601 or visit http://thegreatandersoncountyfair.com/. Through – May 14 – “A Look Back at the Carolina Blues” at the Pickens County Museum in Pickens. For more information call (864) 898-5963 or visit http://www.co.pickens.sc.us/CulturalCommission/CurrentEvents/default.aspx#Programs. April 30 – May 21 – The Contemporary Art Jewelry Show in the Arts Center Gallery in Clemson. Come see how jewelry can be transformed into amazing works of art. For more information call (864) 633-5051 or visit http://explorearts.org/. April 30 – May 2 – Spring Festival on the Historic Downtown Square in Abbeville. Event includes a day of rides, entertainment, food, and fun. For more information call (864) 366-5021 or visit http://www.abbevillespringfestival.com/. April 30 –May 3 – Piedmont Plant and Flower Festival at the Greenville State Farmers Market in Greenville. For more information call (864) 244-4023 or visit http://www.agriculture.sc.gov/event/piedmont-plant-and-flower-festival/. May 1 – 2 – Greer Family Fest in downtown Greer. Event includes lots of kids activities, live entertainment, and a vast variety of vendors. For more information call (864) 877-3131 or visit http://greerchamber.com/events/greer-family-fest/. May 1 – 2 – Mayberry Comes to Westminster in downtown Westminster. Comes experience the life of “Mayberry” as seen on the “Andy Griffith Show” to include look-a-likes for the characters. For more information call (864) 647-5316 or visit http://westminstersc.com/mayberry/. May 1 – 3- Spring Fling in downtown Spartanburg. In addition to fun activities for all member of the family, the event includes a cycling race. For more information call (864) 596-3105 or visit http://www.cityofspartanburg.org/spring-fling. May 1 – June 14 – “Delectable” Exhibit of Pafford and Maleweska at the Center for the Arts Dalton Gallery in Rock Hill. For more information call (803) 328-2787 or visit http://www.yorkcountyarts.org/. May 2 – Tamassee Craft Brew Celebration at the Keowee Towne Market in Salem. Event includes live entertainment, as well as refreshments. For more information call (864) 557-6168 or visit http://www.tamasseecraftbrewfestival.com/. 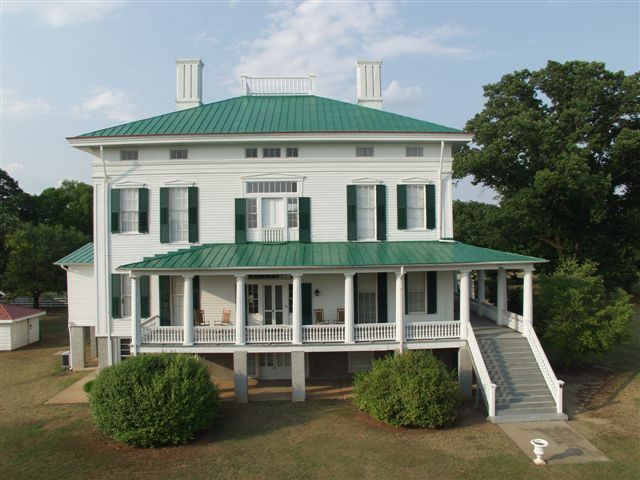 May 2 – Sunday Dinner Cooking Class with Carol Bozarth at the Hagood Mill Historic Site and Folklife Center in Pickens. For more information call 9864) 898-2936 or visit http://www.visitpickenscounty.com/event/1210/sunday-dinner-cooking-class-with-carol-bozarth-at-hagood-milll/. May 2 – Pops Concert by the Foothills Philharmonic at the J. Harley Bonds Career Center in Greer. For more information call (864) 268-8743 or visit http://www.foothillsphil.org/FoothillsPhilharmonic/Welcome.html. May 2 – Reedy River Duck Derby at Falls Park on the Reedy River in Greenville. Come out for this entertaining rubber duck race. For more information call (864) 235-2293 or visit http://www.greenvilleeveningrotary.org/. May 2 – Strawberry Festival in Slater near Travelers Rest. Event includes Bluegrass music, activities for the kids, to include a magic show and jugglers, food and crafts. For more information visit http://www.foothillsfamilyresources.org/code-3/strawberryfestival.html. May 8 – Blue Ridge Fest at the Blue Ridge Electrical Cooper in Pickens. The event is a Beach Music and Classic Car Cruise-In. For more information call (800) 240-3400 or visit http://www.blueridge.coop/blueridgefest/. May 8 – 10 – Artisphere to be held at multiple location in Greenville. For more information call (864) 271-9398 or visit http://www.artisphere.us/. May 8 – 17 – The Fair at Heritage Park on Main Street in Simpsonville. Event will include concerts, including Craig Wayne Boyd of the Voice; a demolition derby; rides, and so much more. For more information call (864) 296-6601 or visit http://fairatheritagepark.com/. May 8 – 17 – “The Music Man” at the Chapman Cultural Center in Spartanburg. This is an award winning Broadway classic sure to entertain the entire family. For more information call (864) 542-2787 or visit http://www.chapmanculturalcenter.org/events.php?id=1413#sthash.F3bSyD6C.dpbs. May 9 – Clemson Triathlon at the Clemson University Beach and Recreation Area in Clemson. For more information call (864) 420-5169 or visit http://www.setupevents.com/?fuseaction=event_detail&eventID=2743. 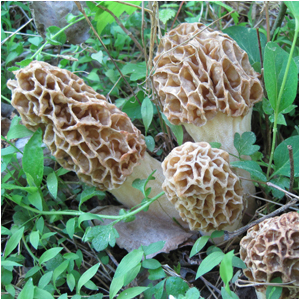 May 9 – Mushroom Cultivation Workshop at the Mushroom Mountain Farm in Easley. Learn about the art of growing mushrooms. For more information call 9864) 855-2469 or visit http://www.mushroommountain.com/. May 9 – Ecosystems on the Homestead at the Hagood Mill Historic Site and Folklife Center in Pickens. Learn how homesteaders of the 18th and 19th century managed without the modern conveniences we have today. For more information call (864) 898-2936 or visit http://www.visitpickenscounty.com/event/1227/ecosystems-on-the-homestead-with-eliza-a-h-lord/. May 14 – 17 – BMW Pro-Am Golf Tournament at the Thornblade Club in Greenville. This is the only Web.com event where amateurs and celebrities are paired with Web.com Tour professionals. For more information visit https://www.bmwusfactory.com/charity-golf/tournament-facts/. May 14 – 17 – Greek Festival in downtown Greenville. Come experience Greek music, food, and fun. For more information visit http://www.stgeorgegreenville.org/GreekFestival.html. May 15 – 16 – Mayfest Art of Living Festival in downtown Walhalla. Event includes a classic car show, Shaggin in the Park, lots of food and arts/craft vendors, and more. For more information call (864) 638-2727 or visit http://walhallamayfest.webs.com/. May 16 – Clemson Festival of Arts in Catherine Smith Plaza and Jaycee and Abernathee Parks in downtown Clemson. Event will include music, art and crafts, including many art activities for kids of all ages. For more information call (864) 633-5051 or visit http://explorearts.org/events/clemson-festival-of-arts-2/. May 16 – 17 – Horse Play in May to be held at the T. Ed Garrison Livestock Arena in Pendleton. This horseshow includes CHSA Open Show Series, Hunter/Jumper, Dressage and CT Series, and includes a silent auction and tack swap. For more information visit http://veteransclassicgolf.com/. April 30 – May 2 – Humanities Festival at multiple locations in Camden. Events will include a bus tour of some historical sites, lectures, a Derby Party, and more. For more information call (803) 771-2477 or visit http://schumanities.org/annualevents/humanitiesfestival/. April 30 – May 3 – Black Cowboy Festival at Greenfield Farm in Rembert. Come learn about the history of the African American Cowboy. For more information call (803) 499-9658 or visit http://www.members.tripod.com/blackcowboyfest/home.html. May 1 – 2 – South Carolina Strawberry Festival at the Walter Y. Elisha Park in Fort Mill. Event will include a horse race, “Race for the Berries”, a golf tournament, a car show, entertainment including the Gin Blossoms, and much, much more. For more information call (803) 547-2116 or visit http://www.scstrawberryfestival.com/. May 1 – 2 – Allendale County Cooter Fest at a variety of locations in Allendale. Events will include, of course, a Cooter Race, the Salkehatchie Sprint (a 5K run/walk/fun run, as well as a fish fry, rides, and more. For more information call (803) 584-4619 or visit http://www.cooterfest.com/. May 1 – 3 – Orangeburg Festival of Roses at the Edisto Memorial Gardens in Orangeburg. Come enjoy the vast variety of roses in the Gardens, as well as a Friday night street dance, sporting activities, such as golf, disc golf, a canoe race, and even a kickball tournament, , entertainment, lots of food and craft vendors, and fun for the kids. For more information call (803) 534-6821 or visit http://www.festivalofroses.com/. May 2 – “Experience Edisto River” at the Beidler Forest Audubon Center in Harleyville. Come meet the authors who wrote about this enchanted river, take a canoe trip, a nature walk or even a night walk in one of the oldest cypress forests in the world, or try your hand at storytelling after attending a storytelling workshop. For more information visit http://www.jogglingboardbooks.com/experience-edisto-river-event-may-2-2015.html. May 2 – Spring Time on the Living History Farm at Kings Mountain State Park in Blacksburg. Come learn about spring planting in the 1800’s at this educational Living History Farm and plant a few seeds yourself. 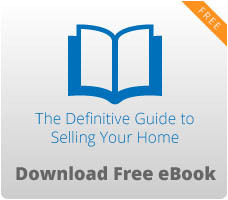 For more information call (803) 222-3209 or visit http://southcarolinaparks.com/products/10004387. May 2 – Arts on the Ridge at the Cotton Yard in Ridgeway. Event is to honor visual, performing, and literary artisans with shows, performances, and demonstrations. For more information call (803) 337-2213 or visit http://ridgewaysc.org/gallery/3/arts-on-the-ridge. May 2 – Johnston Peach Blossom Festival in downtown Johnston. Event includes a parade, rides, and lots of food and craft vendors. For more information (803) 275-2345 or visit http://johnstondevelopmentcorp.org/events/peach-blossom-festival/. May 2 – Hammonds Ferry Art Walk near La Petite Gallery in North Augusta. Event will include entertainment and food vendors. For more information call (803) 442-7588 or visit http://www.tbredcountry.org/common/content.asp?CONTENT=8823&PAGE=311. May 5 – 7 – Culinary Camp with Chef Laurie at Santee State Park in Santee. Learn the art of healthy cooking from a well-renowned chef. For more information call (803) 854-2408 or visit http://www.southcarolinaparks.com/products/10004216. May 8 – 9 – Bluegrass Festival at the Aiken County Fairgrounds in Aiken. Proceeds for this event will benefit STAR Riding, a therapeutic horseback riding program for the disabled. For more information call (803) 640-9287 or visit https://www.aikenbluegrassfestival.org/. May 9 – Wings and Wheels Air Festival to be held at the Fairfield County Airport in Winnsboro. See skydiving, take a helicopter or plane ride, food, and fun. For more information visit http://fairfieldchamber.sc/m/events/view/8th-Annual-Wings-Wheels-Air-Festival. May 9 – Comedian Etta May at the University of South Carolina Lancaster Bundy Auditorium in Lancaster. Come see this absolutely hilarious comedian classified as the reigning “Queen of Southern Sass”. For more information call (803) 289-1486 or visit http://www.lancastercitysc.com/performingarts.aspx. May 9 – Behind the Scenes at Redcliffe held at the Redcliff Plantation State Historical Site in Beech Island. Learn about the architecture of this fabulous plantation home. For more information call (803) 827-1473 or visit http://www.southcarolinaparks.com/products/10003829. May 9 – 10 – Palmetto Paint Horse Show at the South Carolina Equine Park in Camden. For more information call (803) 938-0366 or visit http://www.scequinepark.com/. May 15 – 16 – Blackville Music and Arts Festival in downtown Blackville. Event includes in addition to music and arts, a parade, a car and bike show, and of course, food vendors. For more information visit http://www.bmafestival.com/. May 15 – 16 – Aiken Garden Show at the Aiken County Historical Museum in Aiken. See some of the most fabulous gardens in the area, visit with vendors, learn from the speakers, and enjoy the “All Design Rose Show.” For more information call (803) 641-6777 or visit http://www.aikengardenshow.org/. May 15 – 16 – Red Rose Festival in downtown Lancaster. Event include food, entertainment, arts and crafts, and more. For more information call (803) 286-8414 or visit http://www.lancastercitysc.com/red-rose-festival.aspx. May 15 – 16 – Birdfest at Pineland Farm in Panola. Come enjoy some great music to benefit the Clarendon Memorial Foundation. For more information call (803) 452-5800 or visit http://birdfestmusic.com/. May 16 – Aiken County Sherriff’s Office Jail Break 5K to be held at Langley Pond in Burnettown. Event is a trail run with proceeds benefitting the Children’s Advocacy Center of Aiken County. For more information call (803) 642-2024 or visit http://www.runnersworld.com/race/0904E8FA-1C50-498F-9014-D646A2E495C2/aiken-county-sheriffs-office-jail-break-5k-2015. May 16 – 18th Annual McConnells Tractor Show to be held at the McConnells Community Center in McConnells. For more information call (803) 684-5161 or visit https://www.facebook.com/permalink.php?story_fbid=509956815731228&id=239468452780067. May 17 – Aiken Choral Society Spring Concert at St. Paul’s Lutheran Church in Aiken. This event is packed with some fabulous choral works. For more information call (803) 649-6570 or visit http://www.aikenchoralsociety.org/#!concerts-and-events/c1yws. Through May 3 – Society of Bluffton Artists Exhibition Featuring Joy Hermann at the SOBA Gallery in Bluffton. For more information call (843) 757-6586 or visit http://www.hiltonheadisland.com/events/event/society-bluffton-artists-exhibition-featuring-joy-hermann/. May 1 – 31 – Military Appreciation Days at multiple locations in Myrtle Beach. For more information call (843) 918-1014 or visit http://www.militaryappreciationdays.com/. May 1 – 9 – North Charleston Arts Festival at multiple locations in North Charleston. Event includes lots of performances, roving entertainers, arts/craft vendors, a gem/mineral show, an antique show, kids activities, and more. For more information call (843) 740-5854 or visit http://northcharlestonartsfest.com/. May 1 – 3 – Charleston Insiders’ Weekend in historic downtown Charleston. Come enjoy Charleston from an editors point of view. For more information call (843) 805-2300 or visit http://www.travelandleisure.com/microsites/charleston/explore.html. May 1 – 3 – Hilton Head Island Boat Show at Windmill Harbour Marina on Hilton Head Island. Event includes nautical artisans, a “Taste of the Harbour”, “PaddleFest” paddleboarding and kayak demonstrations and trials, local artisans and more. For more information call (843) 812-5802 or visit http://www.hiltonheadislandboatshow.com/. May 1 -2 – A Taste of Beaufort held at Henry C. Chambers Waterfront Park in Beaufort. For more information call (843) 525-6644 or visit http://www.downtownbeaufort.com/taste-of-beaufort. May 2 – May Concert in Goose Creek. Parking is at the Goose Creek High School. For more information on this family event, call (843) 608-0035 or visit https://www.facebook.com/summervilledayoffun?ref=stream. May 2 – Taste of the Coast to be held at the North Myrtle Beach Park and Sports Complex. Come explore the variety of restaurants in the Myrtle Beach area. For more information visit http://www.tocnmb.com/about/. May 2 – LowCountry Shrimp Festival and Blessing of the Fleet in McClellenville Robert E. Ashley Boat Landing. For more information visit http://lowcountryshrimpfestival.com/. May 2 – Beer, Bacon & Music Festival at Cove Community Park on Hilton Head Island. There will be lots of bacon themed items, including a bacon competition, lots of refreshments, and entertainment. For more information call (843) 681-7273 or visit www.islandreccenter.org/. May 2 – Annual Sheep Shearing at Middleton Place Plantation and Gardens in Charleston. Come experience the one of a kind experiences of sheep shearing and learn more about the annual event from costumed interpreters. And be sure to visit the fabulous Plantation and Gardens during your visit. For more information call (843) 556-6020 or visit https://www.middletonplace.org/visiting-middleton-place/events-calendar/271-may-3-annual-sheep-shearing.html. May 2 – Dragon Boat Festival at Brittlebank Park in Charleston. The fun and interesting event is in honor of cancer survivors. For more information call (843) 324-9505 or visit http://www.charlestondragonboatfestival.com/faf/home/default.asp?ievent=1119657. May 3 – “Doobie Brothers” in concert at the Family Circle Stadium in Charleston. This is an all time favorite band. For more information visit http://www.familycircletenniscenter.com/concerts/. May 7 – Marcus Lattimore Tailgate Experience at the Florence Civic Center. He will share his story about overcoming adversity. Proceeds for the event go to the McLeod Children’s Hospital. For more information call (843) 679-9417 or visit http://www.florenceciviccenter.com/events/detail/marcus-lattimore-tailgate-event. May 8 – 17 – Spring Bike Rally at multiple location in the Myrtle Beach Grand Strand area. This is the Carolinas biggest spring biking event. For more information call (336) 643-1367 or visit http://www.myrtlebeachbikeweek.com/. May 9 – Mayfest on Main Festival on Main Street in North Myrtle Beach. Come enjoy a day of music, food, crafts, and visiting the local vendors. For more information call (843) 280-5570 or visit http://parks.nmb.us/Page.aspx?id=13. May 9 – Bluffton Village Festival at Old Town Bluffton. Come experience food, fun, arts/crafts, and even the Ugliest Dog Contest. For more information call (843) 815-2277 or visit http://www.blufftonvillagefestival.com/. May 10 – Charleston Spring Greek Festival to be held at the Greek Orthodox Church of the Holy Trinity in Charleston. Come experience Greek faith, food, culture, and heritage. For more information visit http://www.charlestongreekfestival.com/. May 16 – 17 – Blue Crab Festival to be held on the waterfront in Little River. This is a world renowned event. For more information call (843) 249-6604 or visit http://bluecrabfestival.org/. May 16 – A Very Special Prom For The Exceptional to be held at Felix C. Davis Community Center in North Charleston. This is a formal event for individuals 14 – 30 with physical or mental disabilities that are otherwise unable to attend their high school prom. For more information call (843) 643-INFO or visit http://www.fortheexceptional.com/a-very-special-prom#!a-very-special-prom/c1uur. May 16 – Bulls Bay Nature Fest – From the Forest to the Sea at various locations around the Sewee Vistor and Nature Center in Awendaw. Events will include kayaking, birding, wildflower and nature walks, and a family biking trip. Also experience live raptors, reptiles, learn about the endangered Red Wolf. At the Center will be workshops including those for the kids, speakers, and so much more you must visit the web site. Come experience this free and exciting event and enjoy the great outdoors! For more information call (843) 928-3368 or (843) 697-2075 or visit http://www.bullsbaynaturefestival.org/. May 16 – Charleston Beer Garden to be held at The Grove @ Patriot Points on Mount Pleasant. Come experience a variety of brews and entertainment. For more information visit http://www.charlestonbeergarden.com/. May 16 – “Boston” in concert at the Family Circle Stadium in Charleston. Come here this traditional rock band of the 70’s and 80’s. For more information visit http://www.familycircletenniscenter.com/concerts/. May 16 – Marine Corp Recruit Depot Centennial Run to be held at MCRD on Parris Island. Event includes a 100K team relay and a 5K fun run. For more information visit http://setupevents.com/index.cfm?fuseaction=event_detail&eventID=2880. May 17 – 20 – Veteran Golf Classic to be held at various golf courses in Myrtle Beach. This is a two person team event. For more information call (800) 833-8798 or visit http://veteransclassicgolf.com/.